Summer may be slipping away, but ice cream socials and birthday parties are year-round celebrations. 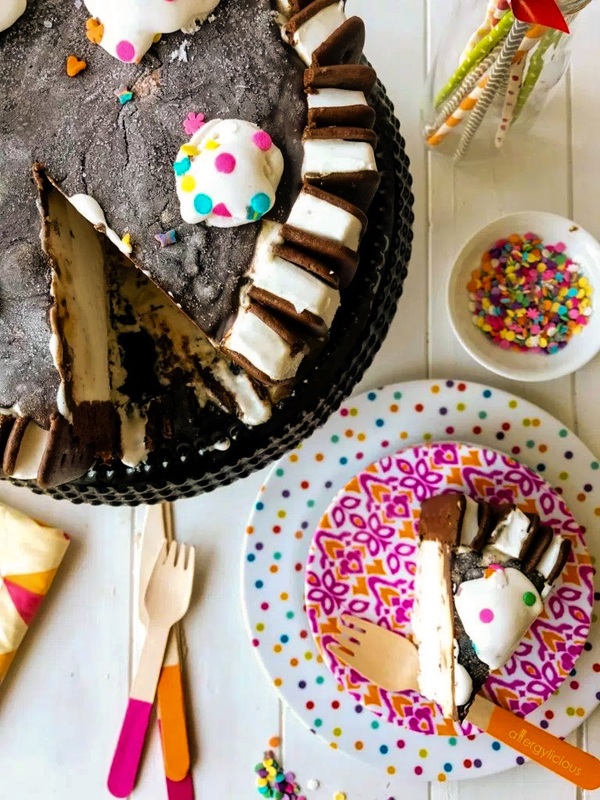 Make them special for all with this vegan Cookie Dough Ice Cream Sandwich Cake. The recipe was an Honorable Mention Winner in the Coconut category of our #FrozenFridays Recipe Contest. 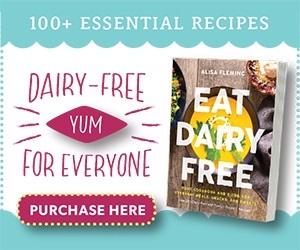 The event was sponsored by So Delicious Dairy Free and hosted by us, Go Dairy Free. But this incredible frozen dessert recipe was created and submitted by Nicole of Allergylicious. 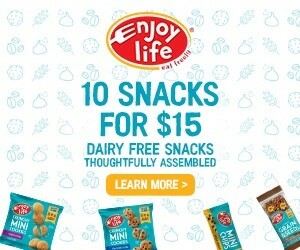 After discovering her youngest son had life-threatening food allergies to dairy, eggs and peanuts, Nicole began a quest to develop recipes for tasty treats to make sure he would never be left out. 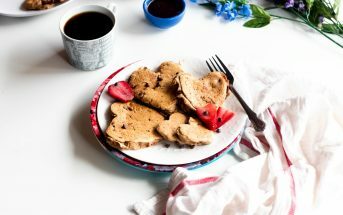 Experiencing the same questions that any mother who encounters food allergies does, Nicole baked and tweaked her way to developing enough recipes to write her first cookbook, Sweet Cheats. She has since released the e-cookbook, Eat Dessert First. Nicole is a Board Certified Health Coach and works with other families to help them learn to live with food allergies. She continues her baking and shares her recipes and experiences on her blog, Allergylicious.com. 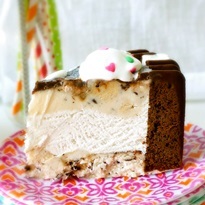 This cookie dough ice cream sandwich cake was really delicious and very sweet! 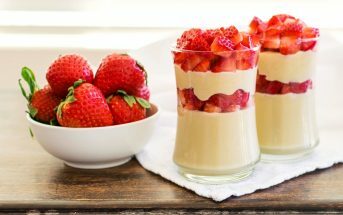 It was easy to make, a huge hit with my family, and I was impressed at how she incorporated the different ingredients. Plus, it was a cool looking cake for parties and definitely kid friendly. This frozen dessert provides layer upon layer of sweetness, but it's surprisingly easy to put together. 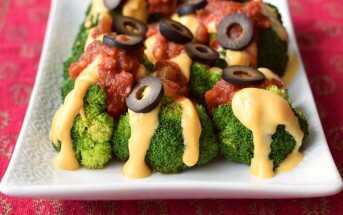 See Nicole's photo of the steps below to help with this recipe. 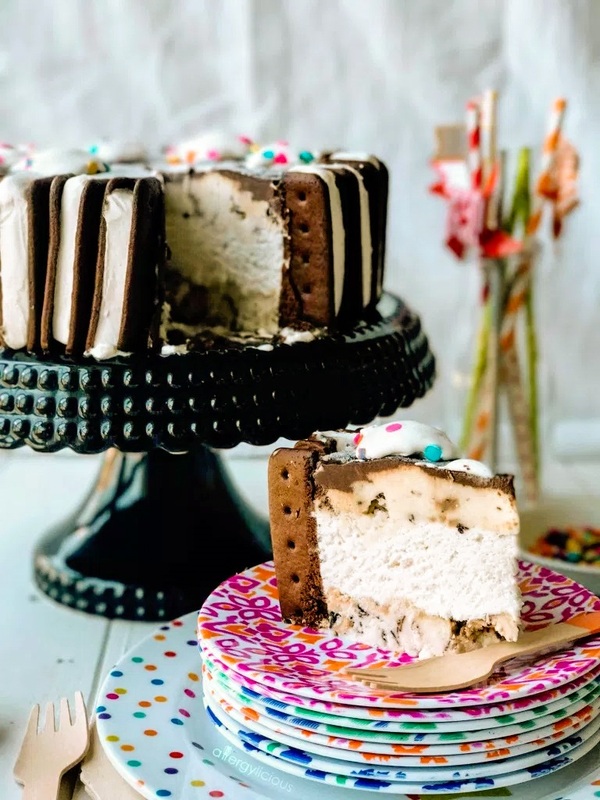 Also, you can swap in a different dairy-free ice cream flavor to give this vegan ice cream sandwich cake a different spin. 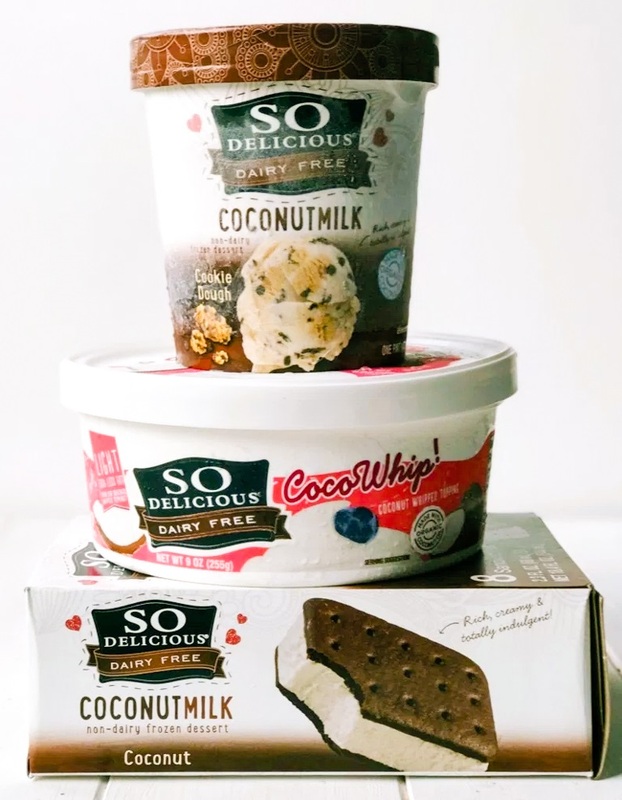 Set the pint(s) of dairy-free ice cream on the counter to soften, about 15 minutes. Line an 8- or 9-inch springform pan with a sheet of plastic wrap, extending about 2 inches over the edge. Cut each ice cream sandwich in half, vertically. Create a wall by placing the half sandwiches side-by-side against the inside edge of your pan, cut side facing in. 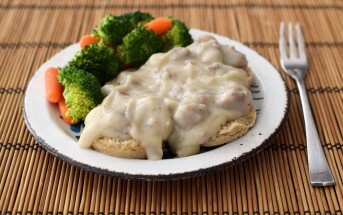 Place the pan in the freezer for 20 minutes to ensure the sandwiches don't melt as you finish the recipe. Spread a layer of the softened dairy-free ice cream along the bottom of the pan (inside your ice cream sandwich rim). And then drizzle chocolate ganache and caramel sauce on top. 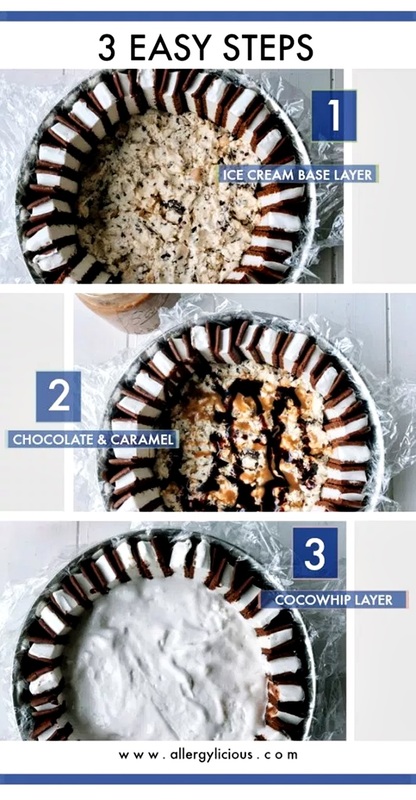 Add a layer of coconut whip and then another layer of Cookie Dough Ice Cream, chocolate ganache, and caramel. Put the cake in the freezer to firm up for 1 hour. Top with any extra coconut whip topping and sprinkles. Return the cake to the freezer and freeze until firm. Cover with the wrap and keep frozen until ready to serve. Timing Note: You might think the Prep time seems to short, but you want to work quickly with this recipe. Having a helper on hand can help to keep the pace and prevent melting, or you can freeze the cake in between steps. Yummy! This is a perfect birthday cake for me, Alisa! It seems like an easy and palatable cake recipe which I will definitely give a try! Awesome! I hope you enjoy it Agness. I love how indulgent this cake is! It is such a fun way to celebrate a birthday and you wouldn’t even notice it is an allergy friendly treat.